This beautiful pair of timeless stud earrings are set with sparkling amethyst cubic zirconia stones. 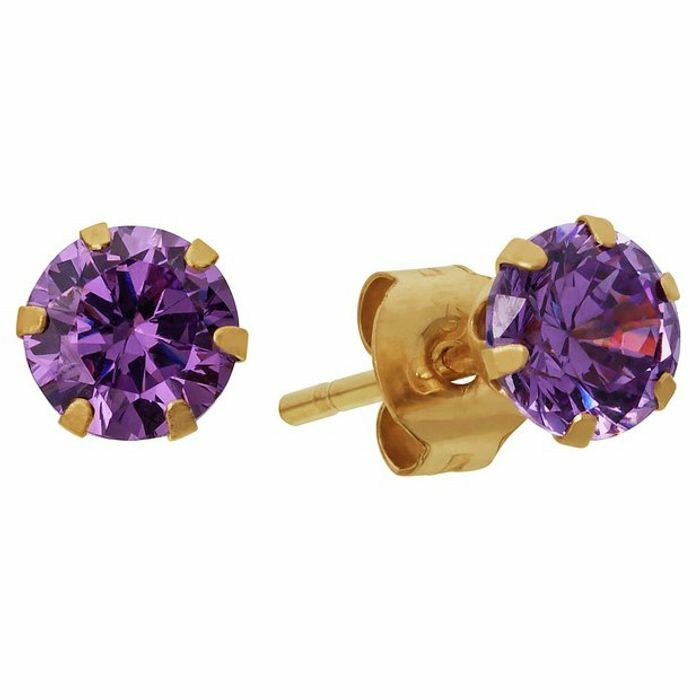 Handmade in the UK from 9ct yellow gold, 4mm round amethyst cz stones are set within a 6-prong fitting that is simple yet chic. These earrings fasten behind the ear with 9ct yellow gold scrolls.